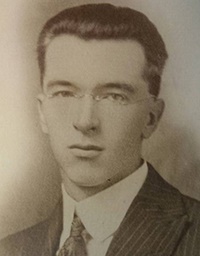 Patrolman Addison O. Hinsdale, Jr.
Reflections for Patrolman Addison O. Hinsdale, Jr.
To fully appreciate the heroes of the present, we must recognize our heroes of the past. Your heroism and service is honored today, the 93rd anniversary year of your death. I am privileged to be among the first to leave a tribute to you. Your memory lives and you continue to inspire. Thank you for your service. My cherished son Larry Lasater was a fellow police officer who was murdered in the line of duty on April 24, 2005 while serving as a Pittsburg, CA police officer. Rest in Peace, Patrolman Hinsdale. Your sacrifice is not forgotten. Patrolman Hinsdale - Two Fridays ago I stood in the State Assembly chambers when your name was one of the almost 250 read off during a vote regarding next month's Police Memorial Week. You are not forgotten. Thank you for your service to the people of Pueblo and the state of Colorado. May God grant you eternal rest and may his perpetual light shine upon you. You are not forgotten thank you for your service.